One of the great things about food festivals is that you can find one almost anywhere - they're all over the place! From independent beer and ale booze-ups to sophisticated cheese and wine events there’s bound to be something going on nearby. But if there’s only one you’re planning to visit, it absolutely has to be this one. When you think of ‘diary-worthy’ food events, you may think of London, Edinburgh, Bristol and other buzzing metropolises but this (otherwise fairly quiet) Welsh town really brings home the bacon – nearly quite literally – when it comes to food on a grand scale. Its streets fill with shoulder-to-shoulder market stalls and local producers; crowds throng, tasting and sampling and chatting. Halls, rooms, theatres and open spaces are booked out with eager spectators for food demonstrations, chefs’ talks, live shows and masterclasses; and the castle grounds are lined with culinary royalty.  Abergavenny Food Festival should not just be pencilled on your calendar; it should be circled in a big red marker pen: 15th-16th September. If you’ve ever been, you’ll understand why this festival has won such a prestigious accolade. The sheer volume and diversity of food and events squashed into two days is impressive in itself. Every year Abergavenny offers an extraordinary amount of traders. This year, as well as exhibitors from Wales and The Marches and across the UK, you can look forward to a truly global array of produce. But Abergavenny doesn’t simply offer one market, no, there are five! Five market venues with over 200 stalls – you’re going need more than a wicker basket for this event, bring every rucksack you have. The sense of community and emphasis on the sociable eating experience is prevalent at this festival, and is one of the elements that makes it so enjoyable. It’s a celebration of craft, tradition and innovation with such a get-up-and-go vibe about it, that it is never deterred by minor things – like the weather. You’ll not see a thing cancelled due to bit of rain (it is in Wales after all), and that’s nice to know if you’ve set aside a weekend for a spot of pure gluttony. Further special guests will be appearing on Sunday, it tends to be the less crowded of the two days, so is better for families and those who need a little bit more room. And, if you want to take the kids, they are going to be pretty excited about the Children’s Food Academy (sponsored by Organic Centre Wales) at the Castle. All in all, with such a showcase of skilled, passionate, knowledgeable and articulate food-lovers: growers, cooks, writers, processors, campaigners and artists, Abergavenny Food Festival is right up any foodie’s street. But it’s more than just food; it’s an experience you just have to try. Once you’ve visited this festival, you’ll be hooked.